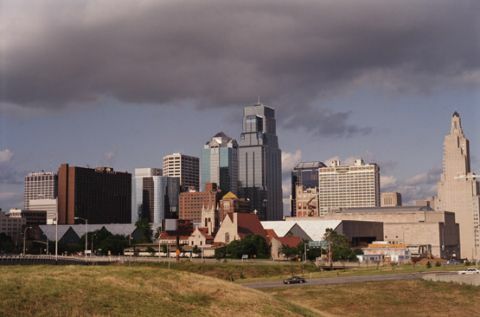 With a population of over 2 million people, the Kansas City metropolitan area ranks among the largest in the nation. Its prominence rests not with its size, however, but with its beauty and entertainment scene. An emphasis on parks, memorials, and art gives this city aesthetic appeal. Kansas City is most famous, though, for its music scene. The city openly flaunted Prohibition during the 1920s, supporting a thriving jazz and nightclub scene. Famous jazz musicians gathered for the first "jam sessions" here, playing late into the night after gigs. The city's barbeque is also legendary. Professional sports teams include MLB's Kansas City Royals, the NFL's Chiefs, and Major League Soccer's Wizards. The University of Missouri has a campus in the city serving over 13,000 students. • Missouri - Find travel information, maps, tourist resources, and more photos of Missouri. • City of Kansas City, Missouri - Browse the official government site for the City of Kansas City. • Kansas City Travel and Tourism - Visit the Kansas City Convention & Visitors Association website. • Kansas City Guide - Business directory and maps of Kansas City, Missouri.